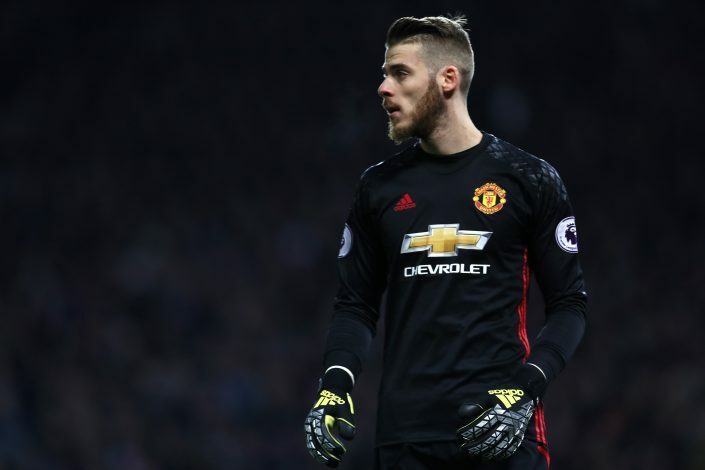 Italian giants AC Milan reportedly want to bring in Manchester United goalkeeper David De Gea as a possible replacement for Gianluigi Donnarumma. Milan are currently looking to secure the long-term future of their 17-year-old goalkeeper, but the contract talks seem to have reached a standstill. Meanwhile, top clubs from all across the continent, including the likes of Barcelona, Real Madrid, and Manchester United as well, have shown interest in Donnarumma, thereby further adding to the San Siro outfit’s woes. The Rossoneri have therefore began preparing for a future without their Italian keeper, and have identified David De Gea as a potential transfer target, according to Spanish newspaper Mundo Deportivo. However, the Spaniard remains an extremely important member of Jose Mourinho’s squad, and it is next to impossible for the Portuguese to let go of his prized asset. Furthermore, with the former Atletico Madrid man now being one of the best shot-stoppers in the world, it is very unlikely that he will be leaving the Theatre of Dreams for a struggling Milan side. But the report further adds that the Serie A club have prepared wisely for De Gea’s rejection, which is why they have a list of alternatives lined up, such as Real Madrid’s Keylor Navas, and Manchester City’s Joe Hart.